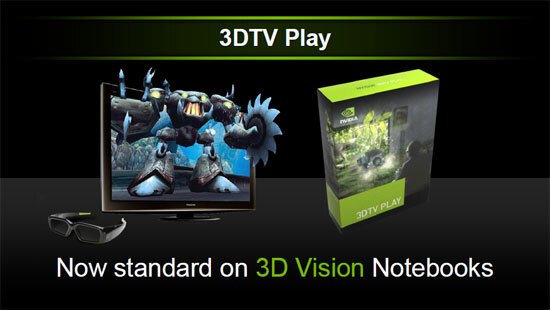 Is this the first 3D Vision notebook offered by Alienware? Yes, the M17 R.3 is the first Alienware notebook to feature a 120Hz 3D Vision panel. Does the M17x R.3 support NVIDIA Optimus Technology? Yes, the M17x R.3 features Optimus technology when a GeForce GTX 460M is chosen without 3D Vision. I've never seen a GeForce GTX notebook GPU using Optimus technology on a notebook before! Technically, all of NVIDIA's current notebook GPUs support Optimus technology. However, the choice to implement Optimus technology is up tot he vendor. The Alienware M17x R.3 is the first notebook to feature a GeForce GTX GPU and have Optimus technology implemented. Why can't I use Optimus technology with 3D Vision? One of the key aspects of NVIDIA's Optimus technology is that the LVDS display is routed directly to the IGP. This is due to the fact that Optimus always uses the IGP's display controller. When Optimus turns the dGPU is off (100% electrically off, 0W), the IGP is 100% on and enabled. Once Optimus enables the dGPU, every part of the IGP besides the display controller is either shut down or sent to the lowest power state. In each case, the IGP display controller is always used to send to the LCD. With 3D Vision, the 120Hz 3D LCD needs to be attached directly to the GPU and cannot be routed through the IGP's display controller. Can I just disable the IGP and run the GPU 100% of the time? Optimus leverages the IGP and GPU to provide the best performance along with the longest battery life possible. If for some reason you didn't want to reap the benefits of the additional battery life, you cannot disable Optimus by disabling the Intel IGP in the Windows Control Panel. Even when the GPU is being used, Optimus uses the display controller portion of the IGP to render to the system's LVDS panel and the remainder of the IGP remains off. As a result, the IGP can never be fully disabled as you'd have no output to the screen. Fortunately, you have the ability to customize nearly every aspect of Optimus within the NVIDIA Control Panel. Here, you can enable the ability to right-click on an application's .exe and choose whether you want it to run on the IGP or GPU. In addition, you can modify existing Optimus application profiles and create new profiles to force them to run on the IGP or GPU. You can view a YouTube video I created here which outlines how to enable and use this feature (along with the other Optimus features listed within the NVIDIA Control Panel). 0 Response to "Nvidia optimus disabled for laptops"